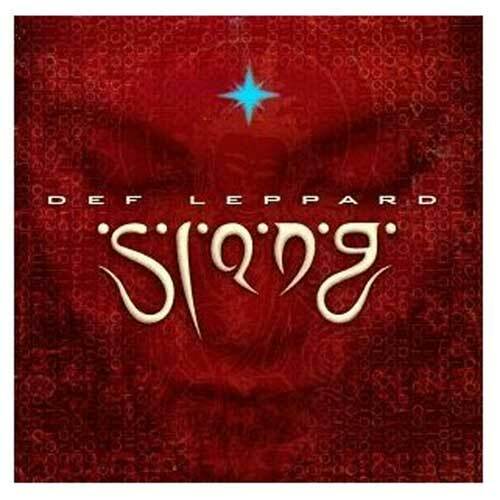 View Larger Slang CD Somewhere along their musical path, Def Leppard shed their raw, youthful rock aggression and became a pop band. Their new direction, beginning with Pyromania and continuing with Hysteria and Adrenalize, was a complete departure from their earlier, stripped-down, AC/DCish approach, and it vaulted them to mega-stardom. Slang is their first record without producer "Mutt" Lange since their debut, On Through the Night. The good news is that it's a much more organic, less overproduced record than they would have made with Lange, but it's still more pop than hard rock. Dance beats and funky riffs, with no shortage of slower power ballads, sum up this record pretty thoroughly.